If your company is already using social media to reach customers, you’re on the right track. Social media marketing has proved to be extremely effective in growing a brand presence and turning followers into customers. However, many companies have not tapped into the power that is Twitter recruiting. Just as you can connect with potential customers, you can also form connections with talented young people looking for a career at a great company. Not only are young professionals very active on Twitter, but you also have more options in what kinds of content you can post. Convinced it’s time to start tweeting? In this post, I’ll share even more reasons why Twitter recruiting is important and how to do it effectively. The world of recruiting is evolving rapidly. Traditional methods of finding talent are being replaced by interactions online and through social media. Perhaps this is good for companies. If you’re just putting job listings up on your website, you’re likely never going to reach any talent that isn’t actively searching for a new job. Here are a few more reasons why using a Twitter recruiting strategy is a good idea. According to a study by The Center for Marketing Research at the University of Massachusetts, 23% of millennial respondents follow at least one brand on Twitter. Surprisingly, their reasons for following a brand are not one-sided. 87% said they followed because they wanted to support the brand. So what does that mean for your company? It means that those who are following your Twitter account probably already feel a connection to your brand, product, and/or company values. That’s great because the best employees are ones that love your company and want to help it succeed. When the only information you have of a person is in a job application, it’s hard to get an understanding of their true personality. Plus, they tend to sugar coat their skills and experience. Twitter recruiting gives you the awesome opportunity to screen potential employees and get to know them on a personal level. You’ll see their profile description, the posts and content they are sharing, and how passionate they are about their professional background. Your website and careers/jobs page can certainly play a part in how interested people are about working for your company, but there are limitations. If all you’re spending time on is updating your job listing page, you could be missing out on some connections with talented millennials. Most employees are probably not going to simply search for your website and go directly to your jobs page. More likely, they will come across your company on social media and click through to your website. While your website is more of a static experience, your presence on social media is very dynamic. If you’re being consistent about posting great content that is true to your brand’s style and voice, people will start to notice–and loyal follower will turn into great employees. Hopefully, you’re feeling compelled to give Twitter recruiting a try. Before you can start making connections with potential employees on, though, you’ll want to make sure that your profile is optimized to gain followers and send people to your site. Here’s a quick guide to getting setup. A company jobs account will be more recognizable to those who are already familiar with your business. It also works well if you are frequently hiring new people and have lots of jobs to post about. Groupon maintains an active jobs profile on Twitter. Alternatively, a personal Twitter recruiting account is better if you work for a smaller company and have fewer jobs to post about. Personal accounts are also great because they are, well, personal. People will likely be more receptive to connecting and talking with a person online than a business. Also, personal accounts give you some freedom in what you can post. Not everything has to be about a company job listing. Here is a personal account for a recruiter at Groupon. Like I said, if you have the time/staff to manage both a company and personal profile and have enough open jobs to be consistent on a company profile, then go for it. 2. Your Twitter handle should be @yourcompanynamejobs or @yourcompanynamecareers. You want this account to be easy to find if people are searching for it. Pro-Tip: Create a hashtag specifically for your company’s jobs and have your current employees share company-related content with the hashtag. 4. Make sure to include a link to your jobs/careers page so profile visitors can easily click over. 5. Finally, you’ll have to include is a cover photo. Our favorite kind of image to use for this a group photo of your current staff. Make sure everyone looks happy and excited to be working at your company! 1. Use a nice, professional photo of yourself as the profile picture. Be smiling! 2. You could really make your personal Twitter handle anything, but the best would be @firstnamelastname. Tech Recruiter for @DiscoveryComm. Green tea addict. Beagle mom. I help talented college grads join a team of fun, shark week-loving techies. Pro-Tip: Have a cool looking work environment? Take a picture of it and use it as your cover photo to give your profile visitors a look into where they could work. 4. Next, you should also include a link to your company jobs page. 5. What you use for your cover photo is really optional here. If you want it to be company-related, that’s fine. If not, just make sure it is professional and appropriate. Jobs you’re hiring for (obviously). If you have multiple jobs you’re hiring for, post about them individually and include a link to that specific job post. The best thing is to just get creative with what you’re posting. Think about what you would want to see if you were interested in working for a company, then incoporate that into your Twitter recruiting strategy. Use images, videos and GIFs as much as possible. Users will respond better to visual content. Include 1-2 relevant hashtags in each post. Keep your tweets within 80-100 characters so that people can easily retweet and add a comment if they want to. Tweet 5-10 times a day at least to stay relevant with your followers. 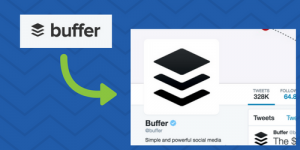 Save time by scheduling your tweets ahead of time using a tool like Buffer. Want to know the big secret to actually seeing results from Twitter recruiting? Along with posting your content, make sure to interact with people that could be interested in a career at your company. The mistake that many companies make is treating social media as a presentation instead of a conversation. While posting great content consistently is very important, you also want to engage with people. Sometimes that means starting the conversation. Routinely search for hashtags that are relevant to your industry or relevant to jobs that you are hiring for. For example, if you are hiring for a sales representative, search for #sales and explore the profiles of those that have used the hashtag recently. If you find people that interest you, follow them. They will likely get a notification that you followed them and will check out your profile (and hopefully follow you back). To continue engaging with those that you’ve followed, take a short break twice a day and go through your timeline. If you created a hashtag for your company jobs, search to see if anyone has used it recently. If so, you can retweet these as well. Look at the Trends currently on Twitter and see if you can tweet anything that incorporates one of these topics. Just make sure to use the hashtag assigned to the topic. Recruiting on your website and job listing sites is limiting. If you want to increase traffic to your careers page and really get people interested in working for your company, it’s time to start searching for talent on Twitter. 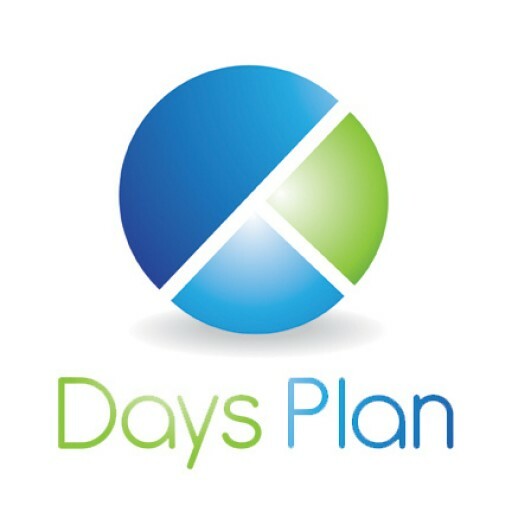 We’d love to check out your own company or personal Twitter recruiting profiles. Comment below with your @handle and tell us what you’re doing to find great candidates!